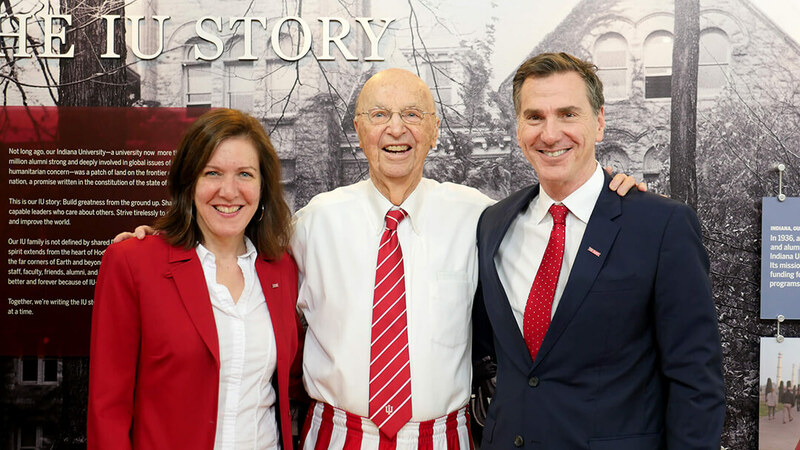 On April 10, the Hamilton Lugar School community came together to celebrate IU Day! As the university's official day of giving, we wanted to put our focus on thanking the people who make so many things possible for our students, faculty, and staff. How'd we make it happen? A t-shirt giveaway, of course! Any community member who wrote a thank you card to a donor received a limited edition Hamilton Lugar School Cycling Team t-shirt. (Sorry, but we don't have a real cycling team.) What follows is just a handful of the opportunities that you've made possible. We also invite you to check out our Facebook photo gallery for a closer look at IU Day in the Global and International Studies Building. Thank you to Jean and Doris Creek for establishing a scholarship in the Hamilton Lugar School's Global Leadership Scholars Program! Jean served as personal physician to Herman B Wells from 1975 until his death in 2000. Both he and Doris are native Hoosiers who value the importance of a global education. Learn more. From left: Lee Feinstein (Founding Dean), Jean Creek, Former Rep. Lee H. Hamilton, and Doris Creek. Our thanks to the Honorable PA Mack, Jr. for establishing the Vice President Hannah Buxbaum International Scholarship within the Hamilton Lugar School. The gift will provide four-year, full-tuition scholarships to undergraduate students as part of the school's Global Scholars Leadership Program. Read More. From left: Hannah Buxbaum, Honorable PA Mack, Jr., and Lee Feinstein (Founding Dean). We are grateful to Erzsebet and Zsuzsanna Ránki (MBA, '82), who have established the György Ránki Scholarship in the Hamilton Lugar School Department of Central Eurasian Studies! 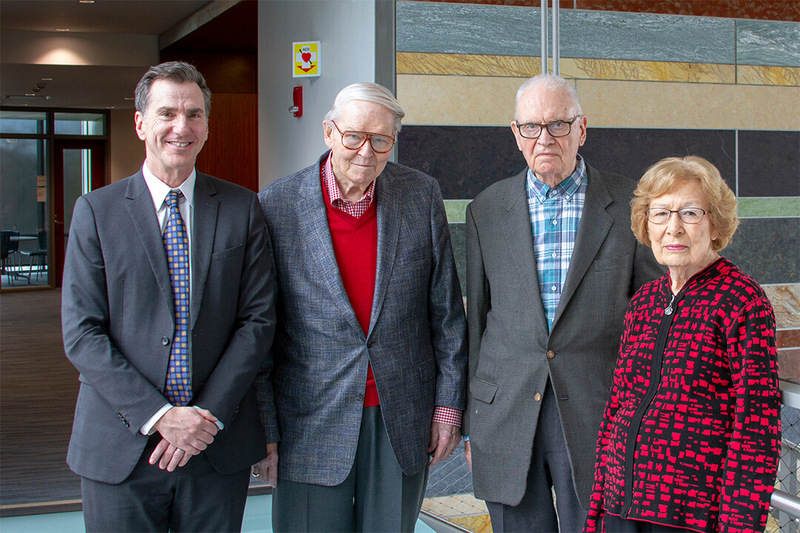 The gift will provide financial support to the next generation of scholars specializing in Hungarian Studies, as well as additional support for the György Ránki Hungarian Chair. Read More. Betty Dlamini, a senior lecturer in the African Studies program at Indiana University’s Hamilton Lugar School of Global and International Studies, was born in Swaziland. She says that even today she sometimes wonders how it is that she, a Swazi girl, gained her own independence and wound up in Indiana. In truth, she learned the answer long ago. Learn more about Betty. 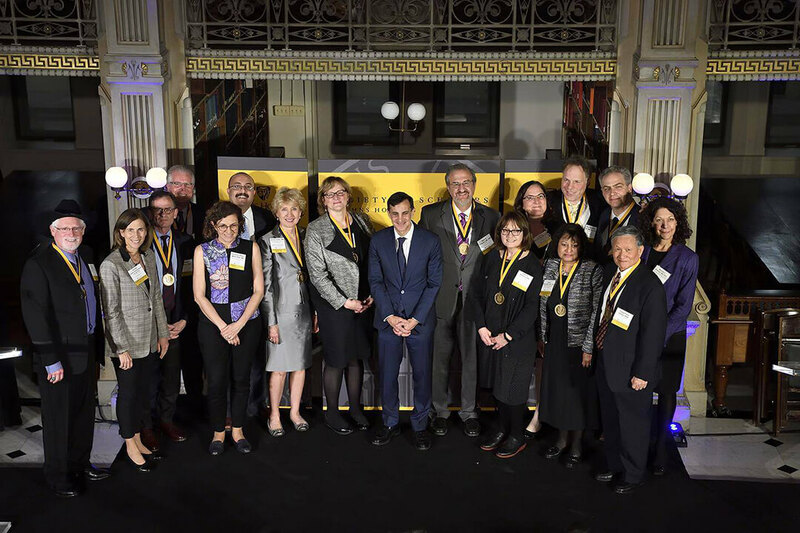 Professor Asma Afsaruddin was officially inducted into the Johns Hopkins Society of Scholars on Monday, April 8, 2019, in the George Peabody Library in the Peabody Institute of the Johns Hopkins University. During the ceremony presided over by President Ronald J. Daniels and Provost Sunil Kumar, she was presented with a university certificate and a medallion signifying membership in the Society of Scholars. Read More. The Society of Scholars inductees who attended the ceremony were presented with a medallion and certificate. If you've ever wondered about benefits to joining a language flagship program, look to Hamilton Lugar School students Nora Zing and Andrew Fluegel. 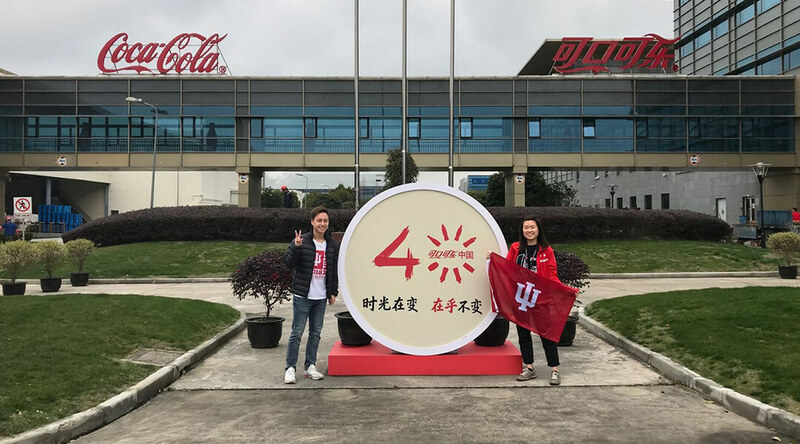 Nora and Andrew, students in the HLS Chinese Language Flagship program, are putting their expertise in language and culture to use by interning with Coca-Cola in Shanghai City! The Chinese Flagship provides an immersive and accelerated environment for students to achieve professional-level language proficiency. It also helps students develop global skills and prepares them for an increasingly interconnected world. What are our alumni doing? We're proud to say that their fields are as varied and interesting as the offerings and opportunities within the Hamilton Lugar School. Visit our blog to learn more about Katherine Ntiamoah (US Diplomat), Asya Kislyuk (Airbnb), Paul Pass (Japan-America Society of Dallas/Fort Worth), and Rachel Whitney (YouTube). From left: Katherine Ntiamoah (US Diplomat), Asya Kislyuk (Airbnb), Paul Pass (Japan-America Society of Dallas/Fort Worth), and Rachel Whitney (YouTube).